temporiuso: WHICH COMMON GROUND IN THE BALKANS? Following 15 years dominated by clientelism and short-term gains for those directly involved in privatization of public and common assets, or simply their abandonment, in Albania, Kosovo, Serbia and other countries of the Western Balkans there is a growing need and demand for active citizens involvement in imagining and influencing their habitat. 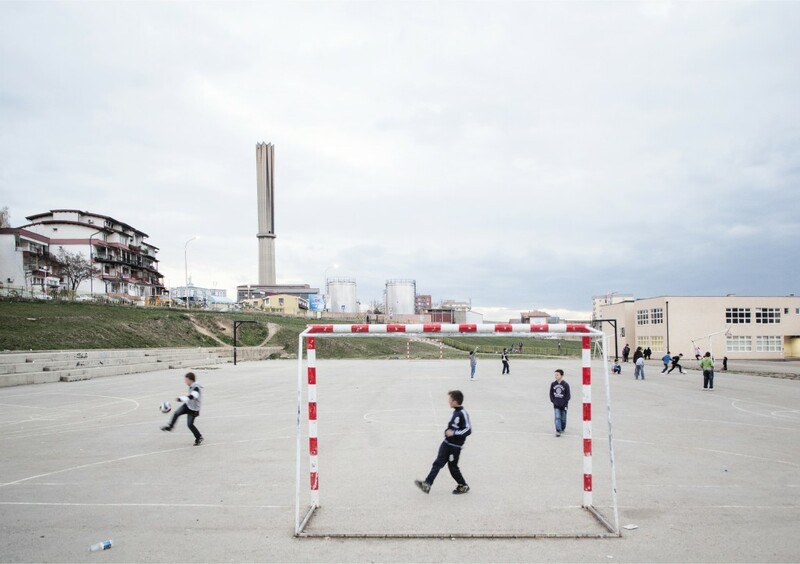 Rooted in a bottom-up approach, the project Which Common Ground for the Balkans aims to create a common ground to trigger and increase the participation of communities in discussions and activities over the shape and use of common spaces. Which Common Ground for the Balkans is implemented by Temporiuso.net (Italy), Ko Gradi Grad (Serbia), Tulla Cultural Center(Albania), and Kosovo 2.0 (Kosovo). The four partner organizations, all with substantial experience in this domain, also aim to identify, shape and offer models with citizens input that can continue to be applied for future cultural/social centers, co-working places or collectively driven housing. Project’s target groups involve cultural associations, active and interested citizens, public officers, city planning researchers and students of architecture, urbanism, economy, political science, artists, journalists, local decision and policy makers. Different activities will be take place throughout the course of the project, between September 1, 2016 and December 31, 2017. Information regarding future activities of the project can be found at this page, which will be updated accordingly. The project Which Common Ground for the Balkans is funded by Balkan Arts and Culture Fund BAC. BAC is supported by the Swiss Government through the Swiss Agency for Development and Cooperation (SDC) and the European Cultural Foundation (ECF). 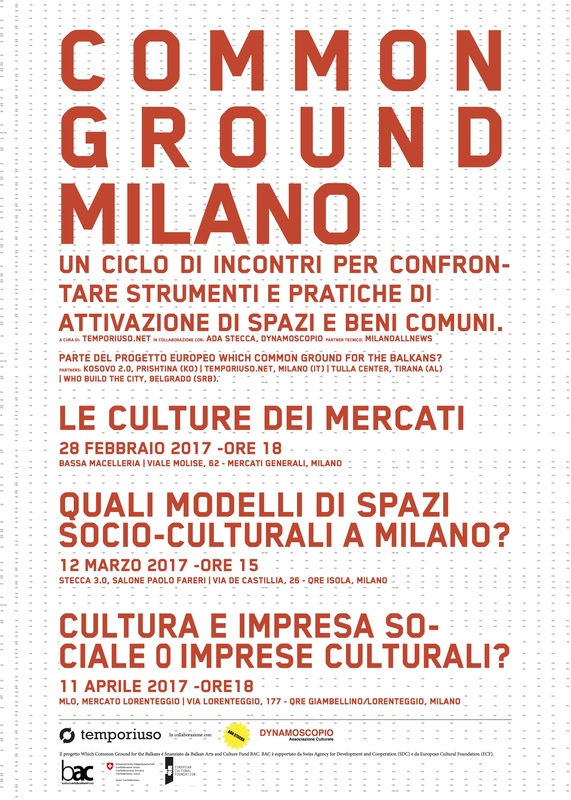 Perché parlare di Common Ground a Milano? A Milano sono nati negli ultimi anni diversi spazi e modi per produrre welfare generativo, fare cultura e partecipare al rinnovamento di un patrimonio culturale materiale ed immateriale della città in continua trasformazione. Quali meccanismi -strumenti, regole, azioni- esistono per innescare i processi di costruzione del Common Ground? E quindi anche in che modo si produce Welfare e Cultura a Milano? Quali servizi ed attività sono accessibili ad un pubblico di popolazioni diverse? Che tipo di spazi socio-culturali sono presenti a Milano? Quali modelli di organizzazione e gestione sono stati adottati? Un ciclo di incontri aperti al pubblico, invita i protagonisti e gestori di spazi socio-culturali milanesi ad un dibattito e riflessione comune.